Ten years ago Tuesday, a disaster took place that had long been predicted by wildlife biologist Richard Dolbeer, one of the world’s leading experts on the dangers birds pose to aviation. Minutes after takeoff from New York’s La Guardia airport, US Airways Flight 1549 flew into a flock of Canada geese, and birds sucked into the two engines caused a complete loss of power. Captain Chesley Sullenberger brought the Airbus A320 down safely on the Hudson River, earning acclaim for saving the lives of the 155 on board. Since the so-called “Miracle on the Hudson,” experts say U.S. airports have improved their management of wildlife on premises to reduce the risks of bird strikes on takeoff and landing. However, at altitudes above 1,500 feet, the rate of damaging collisions hasn’t improved. Meanwhile, the skies over North America have only gotten more crowded, as populations of the large birds that pose the greatest risk to airplanes has increased, and air travel has expanded. The US Airways near-disaster galvanized aviation authorities to devote more attention and resources to reducing the risks of bird strikes. The FAA has spent about $350 million since 2009 to help airports that provide scheduled passenger service to implement required wildlife management plans, and most of the larger airports now employ wildlife biologists. The U.S. Department of Agriculture has wildlife management staffers stationed at about 150 airports and military airbases. The volume of annual reports of bird strikes by airports has more than doubled since 2000 to 14,496 incidents in 2017. “[Flight 1549] was a real wake-up call to the airports that they need to start documenting these bird strikes,” says Carla Dove, a forensic ornithologist at the Smithsonian Institution to whom airports send the often minimal remains for identification, ranging from feathers to what’s known in the trade as “snarge”—goop on a paper towel. Knowing what species are striking aircraft where helps biologists develop countermeasures. Amid the spike in reporting, the number of strikes that cause damage to aircraft has dropped, to 625 in 2017 from 741 in 2000. Experts credit the decline to the work biologists have done to make commercial airports less hospitable to birds. Some birds can be scared away by honking horns and setting off pyrotechnics, but biologists also try to eliminate food sources and make the environment less comfortable. To fend off Canada geese, Laura Francoeur, the chief wildlife biologist for the Port Authority of New York and New Jersey, has planted tall fescue grass at New York City-area airports that has a fungus that tastes bad to them, and she’s planted trees to break up some turf areas, which discourages the geese from landing. She traps and relocates some of the rising numbers of birds of prey that are turning up in New York City. About 10% of the time nationwide, authorities turn to killing birds, says Michael Begier, the airport wildlife hazards program coordinator at the U.S. Department of Agriculture. The majority of those culled are smaller nonprotected species, particularly starlings and pigeons. Since the Miracle on the Hudson there have been regular culls in the New York City area that have killed tens of thousands of birds, chiefly gulls, as well as starlings and Canada geese. Francoeur also coordinates with officials at the Jamaica Bay wildlife refuge near John F. Kennedy Airport to oil eggs of Canada geese and mute swans to stop them from developing. While overall strike numbers reported by NYC-area airports have risen since 2009, which may well be the result of better reporting, Begier says there’s been a decrease in Canada goose strike events. Outside commercial airports, the picture is worse. Nationwide the number of reports of damaging bird strikes to commercial aircraft flying above 1,500 feet in altitude has held steady, oscillating in a tight band from 94 in 2000 to 101 in 2017. Strikes of smaller private aircraft have risen both above and below 1,500 feet. Only 18% of reported bird strikes happen above 1,500 feet, but they account for 30% of damaging strikes since planes generally are going faster, leading to bigger impacts. Flight 1549 had its fateful encounter at 2,800 feet, about 4.5 miles from La Guardia airport. Bird strikes have been happening since man first took to the skies. Orville Wright reported hitting a bird in 1905, less than two years after he achieved the first powered flight. While collisions with planes are invariably fatal for the bird, loss of human life is rare, and in the vast majority of cases, the plane continues to its destination safely. Globally, bird and other wildlife strikes are known to have killed 282 people and destroyed 262 aircraft from 1988 through June 2018, according to an FAA report. Estimates of the economic toll of bird strikes in the U.S. have ranged from $109 million to $462 million a year in damage to civil aircraft from 2000 through 2017, but there’s no accurate accounting, and Dolbeer believes actual losses may be at least two times these estimates. One of the United States’ great environmental achievements has been to revive populations of large birds like the bald eagle that were decimated by hunting and use of the pesticide DDT. Populations of most of the large flocking birds in North America have soared in the past few decades. The number of turkey vultures in North America almost doubled to 5.2 million from 1990 to 2012, while the North American snow goose population has roughly tripled since 1990 to over 15 million today. As bird populations have climbed, people have been spending more time in the air as well. Commercial air traffic in the U.S. increased 22.7% from 1990 to 28.6 million movements in 2016 (a plane’s takeoff and landing together account for two movements), according to FAA statistics, and passenger enplanements rose 66.3% to 823 million over the same span. This has also coincided with changes in commercial airliners that have made them more dangerous to birds, and arguably more prone to catastrophe. Airlines have replaced most of their older three- or four-engine aircraft with two-engine planes, which Dolbeer warns leave less of a margin for safety in the event of a bird strike. “If a flock of birds goes into two engines, your plane becomes a glider,” says Dolbeer. Newer engines are also better at sucking up birds, with larger fans to propel more air out the back and use less jet fuel. The engine housing on the Boeing 777 is over 13 feet in diameter. The GE engines on the Boeing 777 and 787 have been designed to withstand ingesting a single bird up to 8 pounds in size, but most engines and windshields of airliners currently flying are only designed to withstand a single 4-pound bird. The greater quietness of the newest engines also makes it harder for birds to hear planes coming, given that the noise comes out of the back. “Birds do not want to commit suicide, they want to avoid aircraft,” says Dolbeer. Since the Miracle on the Hudson, USDA scientists have stepped up research to help birds get out of the way, attempting to develop warning light systems. It’s not an easy problem given variances in different species’ vision. Birds generally see in the ultraviolet range, beyond what humans can sense—that’s why so many have iridescent feathers—and not so well at the red end of the spectrum, which is why the flashing red beacons on airplanes don’t help. Researchers have also come up with a recipe for a pulse rate of light and wavelength that works for blackbirds and starlings. Another aspiration is to detect birds from the ground and warn pilots. The FAA is currently studying integrating avian radar systems into the control tower. Some airports have experimented with using avian radars to help their wildlife control teams identify problems, including in the New York area. Bird radars are currently in use at a handful of military airbases, primarily systems made by a company called DeTect. In November, a competitor, Accipiter, won a U.S. Air Force contract to supply a bird radar system for the airbase on Wake Island in the Pacific. Bird strikes caused $161.5 million in damage to U.S. Air Force aircraft worldwide in the five fiscal years from FY 2012 through FY 2016, according to a tally posted on the website of the USAF Bird/Wildlife Aircraft Strike Hazard (BASH) Team. The worst recent military bird strike came in January 2014, when a USAF Sikorsky HH-60 Pave Hawk helicopter collided with a flock of geese in the U.K., causing a crash that killed all four crew members. In the U.S., the Air Force has adapted NEXRAD weather radars to keep track of flocks of birds up to 60 miles out, and it integrates that with computer models that use historical data and data on migratory and soaring bird behaviors to forecast bird activity. There are at least six USAF bases with avian radar systems that detect birds within several miles of the base at lower altitudes. The Air Force has a flexibility that airlines don’t: It can reschedule training flights to avoid times when many birds are in the air. Dolbeer is hopeful that efforts to improve situational awareness of drones will lead to radar advances that will help tracking of birds as well. But the prospect that there will be more rotorcraft in the air in the future if efforts to develop drone delivery networks and urban air taxis pan out raise safety questions for him and other bird strike experts. Marking the 10th anniversary of flight 1549’s landing on the Hudson, the Smithsonian Channel is premiering their film Bird Vs. 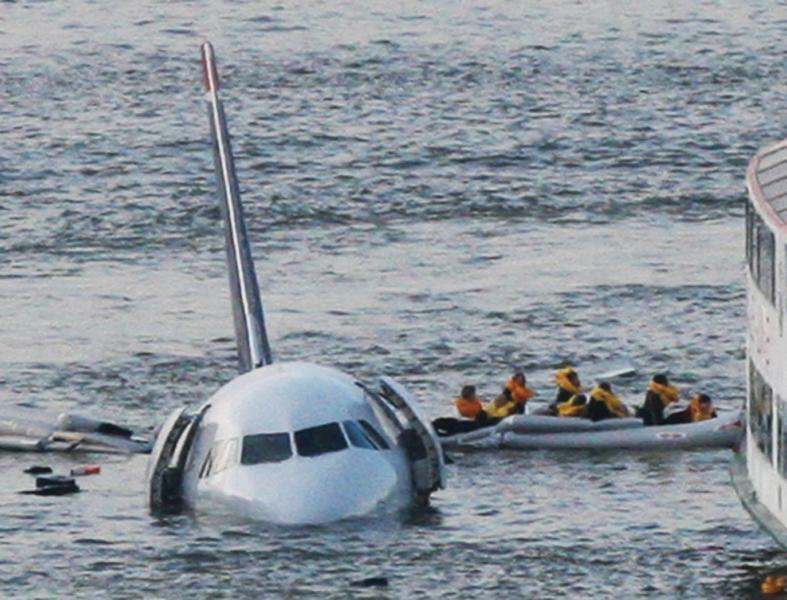 Plane: Miracle on the Hudson, on Tuesday, January 15 at 9 p.m. This article was written by Jeremy Bogaisky from Forbes and was legally licensed through the NewsCred publisher network. Please direct all licensing questions to legal@newscred.com.